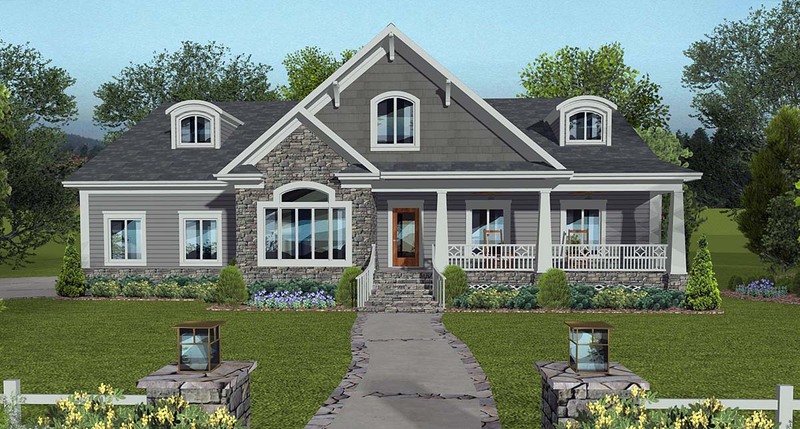 The first in a new series, this home plan is designed to address many requests and observations by our design team. Its relatively simple rectangular shape provides for economical construction, while balanced and accented with today's most requested design elements and features. From the front entry, off its lovely porch you'll have sight line of 53 feet! 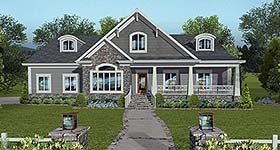 Three bedrooms plus an optional 4th bedroom/office provide abundant accommodations. 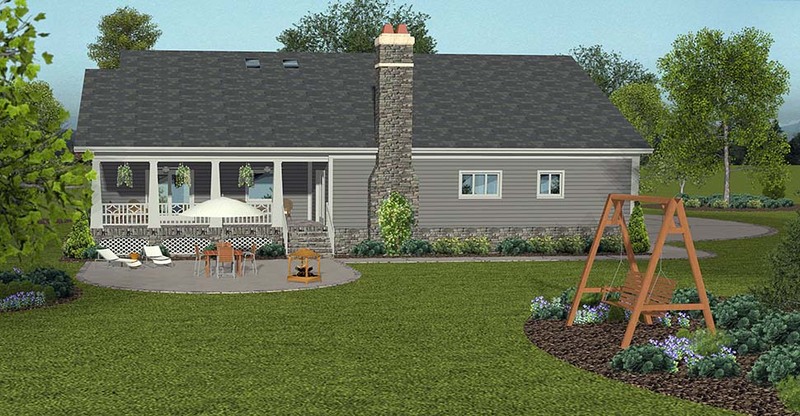 We've included a popular open kitchen, nook, and dining/hearth room layout with easy access to a large screened porch. Click Here to download a free PDF Brouchure of Plan Number 74860.